Hertz is the world's largest general use car rental company. With over 8,100 corporate branches operate in more than 150 countries worldwide, we are able to deliver quality car rental solutions to leisure and corporate customers. In Italy Hertz is everywhere you want to be and now you can find us at IKEA stores with a wide range of cars and vans. • Dedicated rates on 2, 4, 8 hours, night (from 18:00 to 10:00) or 24 hours. • 10% off for daily rental or longer. 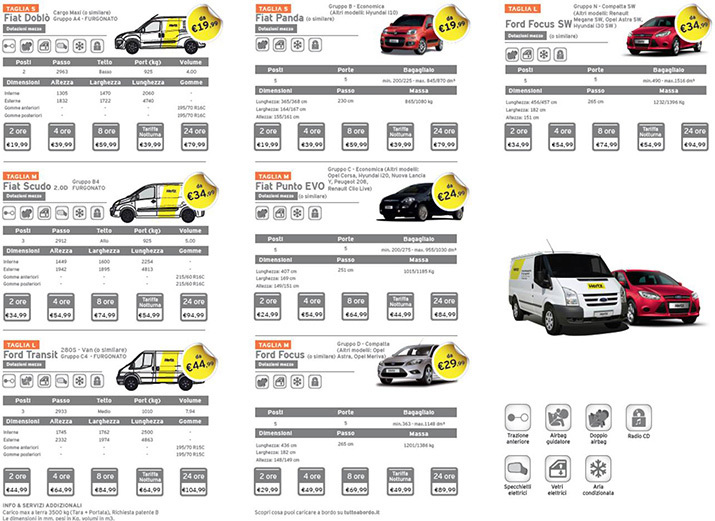 Choose from a wide range of vans according to your needs, choose your rate option and then just go with Hertz. Choose the nearest Hertz branch in Sardinia and book your car or van by calling one of the Hertz branches you can find below, or book online by clicking the drop down menu. Enjoy your shopping in the IKEA store and then go to the Hertz branch to pick up your van. Shop at IKEA and go with Hertz! Effective immediately, Hertz is offering all Gold Plus Rewards members globally fee-waived Hertz Gold Plus Rewards' service. With Hertz Gold Plus Rewards' service there is no more waiting at the counter. You just pick up your keys and go! Also, Gold Plus Rewards' members earn points for every rental made redeemable toward free days, free weeks and more in Italy and abroad. If you are an IKEA FAMILY customer you can take advantage of some very special Hertz privileges. Click the links for more information.